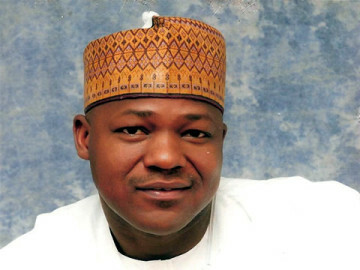 Speaker of the House of Representatives, Yakubu Dogara has tasked members-elect of the 9th National Assembly to muster courage and work for the country. Dogara said this while making remarks at the opening ceremony of the orientation programme for members-elect of the 9th Assembly in Abuja Sunday night. He said as representatives of the people, if they lacked courage, they would not be able to serve the electorate. "Now let me say something about the National Assembly that we may not learn in the course of the lectures that will be delivered.
" I have said that the hallowed chambers of the National Assembly requires people of courage. Very soon, we members-elect of the National Assembly, whether distinguished senators and members of the House of Representatives, will be required to take an oath of office. "But we must always remember that our democracy is organised in such a way that it is made to be driven by consensus. "Where consensus fails, it is always the prerogative of the Parliament or the National Assembly of Nigeria to go first, in the sense that when it comes to bills for instance, even where the President has vetoed the bill, if the National Assembly can muster two third of its members, they can override the bill. "And so, with regards to appropriation, no monies will be appropriated or spent in the absence of express legislative authorisation. "That means the budget is the work of the National Parliament. So this work, of course, requires courage. "And we must always remember that as elected members of the National Assembly, let us do the work of the National Assembly. "We are meant, as the first institution of democracy, to work with the Executive and the Judiciary. "It was never designed that the National Assembly will work for the Executive or work for the Judiciary. "That is the aspect that I want all of us to pay attention to as we take oath as members of the National Assembly. We should know that it is about courage. "It has been said that internal vigilance is the price for liberty. If liberty must be preserved in Nigeria because there is an institution that is internally vigilant. "That institution has always been the institution of the National Assembly. ", he said. He urged the members-elect to ensure that they work for the people that elected them and not for any other interest. While congratulating the members-elect on their victory at the polls, the Speaker urged them to be attentive during the orientation as topics had been drawn up to benefit them in all aspects of their duties.